Wild horses at the Sulphur Herd Management Area in Utah before last winter’s Bureau of Land Management helicopter roundup there. © Steve Paige. The head of the Humane Society of the United States (HSUS) is hailing what he describes as an emphatic statement by senators against horse slaughter for human consumption. The powerful Senate Appropriations Committee voted on Thursday in favor of a ban on slaughtering horses for human consumption on American soil. It was achieved through an amendment to the Fiscal Year 2018 agriculture appropriations bill that disallows spending by the US Department of Agriculture on carrying out inspections at prospective horse slaughter plants. The president and chief executive of the HSUS, Wayne Pacelle, noted that the committee, which comprises nearly a third of the entire chamber, backed the defunding amendment with hardly any controversy. Its backing represented a great display of strength for the anti-slaughter stance, he wrote in his blog, A Humane Nation. The vote comes just a week after a divided House Appropriations Committee voted narrowly in favor of horse slaughter. The House and Senate committees are now in disagreement, leaving lawmakers to settle it, and other issues, through talks. “But we’ll have a leg up in those negotiations because today’s vote in the Senate was an emphatic statement against horse slaughter for human consumption,” Pacelle said. Pacelle continued: “The idea of slaughtering horses for human consumption will never gain traction here in the United States. Americans have an abiding appreciation for horses, honor their presence as pets and companions in our lives, and owe them a debt for their service. “Those values will triumph over the selfish notion advanced by a relative handful of people who size them up, cut them up, and offer them up by the pound for a diminishing base of foreign consumers. Pacelle noted that the House committee was the first time the pro-slaughter people had prevailed in any Congressional setting in a long time, and he thought it was a fluke. Pacelle said the Senate committee had sided with animal welfare, fiscal responsibility, and common sense. The group Return to Freedom Wild Horse Conservation commended the Senate committee for its backing of the amendment. “With today’s bipartisan vote against horse slaughter, the Senate Appropriations Committee showed it had listened to the facts and heard the loud voices of the American public, which polls have shown overwhelmingly oppose the return of a cruel and costly industry,” Return to Freedom president Neda DeMayo said. 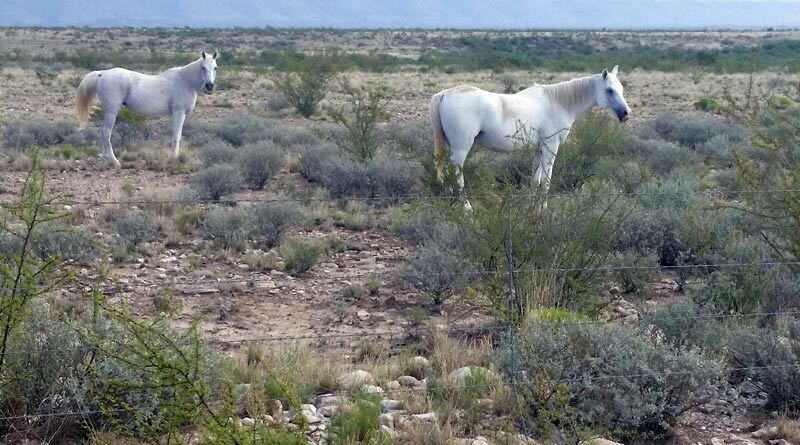 However, the safety of horses, both wild and domestic, remained far from assured, she added, noting that the House Appropriations Committee had, in a voice vote, rejected a similar horse slaughter defunding amendment last week. She then turned to provisions in the Trump administration’s proposed budget for the Interior Department that would allow the Bureau of Land Management to kill captured wild horses or sell them without restriction – a change that advocates say would enable kill buyers to purchase wild horses on the cheap and haul them to Canada or Mexico for slaughter. The Senate Appropriations Committee is expected to take up the Interior appropriations bill – including the Bureau of Land Management’s Wild Horse and Burro Program – in the next two weeks. “If the committee again examines the facts, it will similarly reject, in the days ahead, myths propagated about wild horses by moneyed interests that wish to see them killed or sold to those who would profit from slaughter in foreign countries,” DeMayo said. Return to Freedom and other advocates have long called for redirecting money spent on capturing and holding wild horses toward available solutions. These include not only using safe, proven fertility control but revisiting population targets, based on a fair interpretation of multiple-use land management; providing incentives for ranchers who reduce livestock grazing in wild horse Herd Management Areas; increasing range stewardship, including much-needed water source restoration; and relocating horses, if truly necessary.